With rapidly changing political, economic and social/ cultural situations, organizations and professionals need to develop best workplace strategy, design and management solutions in the workplace to fast cope with the ever-changing workplace landscape. 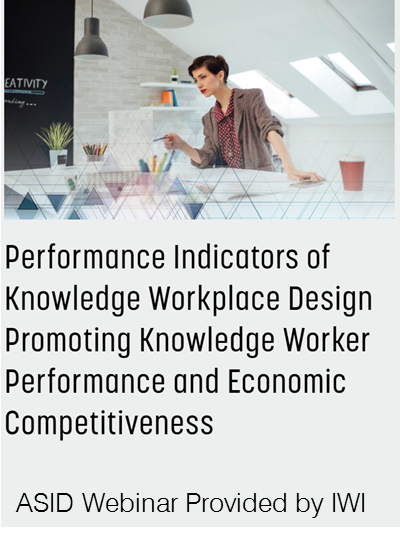 IWI develops research and education agendas based on the most urgent and significant issues of the contemporary workplaces. It, then, disseminates research findings to share with professional through various venues including industry conferences, workshops, meetings, publications, webinars, etc. Please check out our Publications & Resources page for specific articles/ presentations that IWI has offered.